Building on the excellence of previous editions, the 14th edition focuses on the considerable body of new case law that has emerged since the previous edition, recent legislative changes and a brand new chapter on the contribution of tortfeasors. 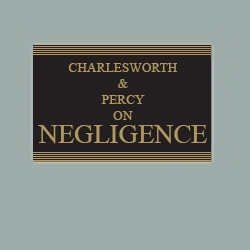 Frequently cited in court, this work is the main authority on the law of negligence. 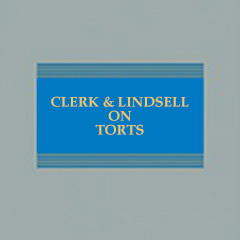 Clerk and Lindsell on Torts is the definitive work and market leader in this area of law; it offers the most comprehensive coverage of the subject, providing the end user with indispensable access to current, frequent and unrivalled authoritative information on all aspects of tort law.